A: The 57mm neodymium magnet driver is the most bigger magnet driver in the market. A: The package included the driver. After the installation is complete, the system needs to be restarted. It can be used after reboot the system. 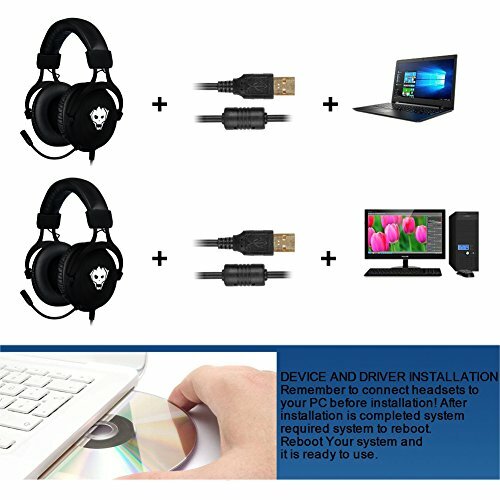 ★【COMPATIBILITY】 :USB Gaming Headset compatible with Windows XP, Windows 10,Vista,7,8,8,1. 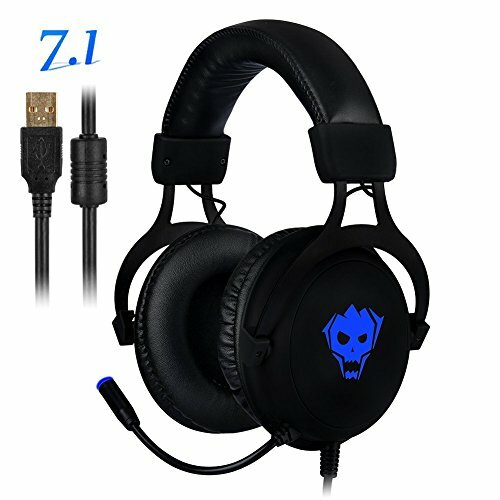 (Only suitable for PC/laptop/Computer).Best headset for FPS,RPG. High quality 7.1 requires driver installation to implement its functionality, choosing ambient sound effects, so you must install the program before you use it CD Driver included the package. 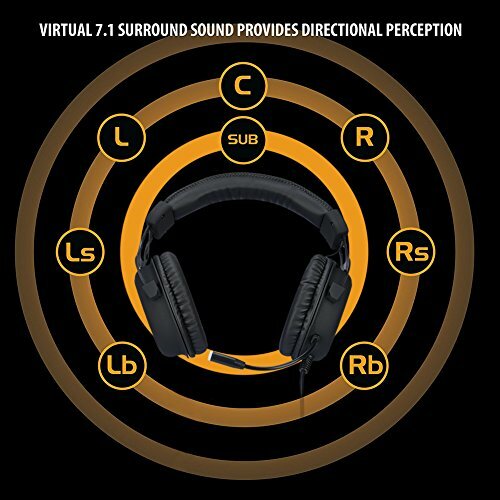 ★【7.1 Surround Sound】:Over Ear 57mm large speaker unit gaming headset provide a crisp, rich and distortion free sound.Emphasis on sound performance and create powerful stereo sound, bringing you vivid sound,such as gunfire,to footsteps, flying bullets, shooting, walking,reloading, breathing and all special sound effects,Perfect for plenty of games like Playerunknown's Battlegrounds,World of Warcraft (WOW),LOL,Call Of Duty,GTA Series, Assassinscreed etc. 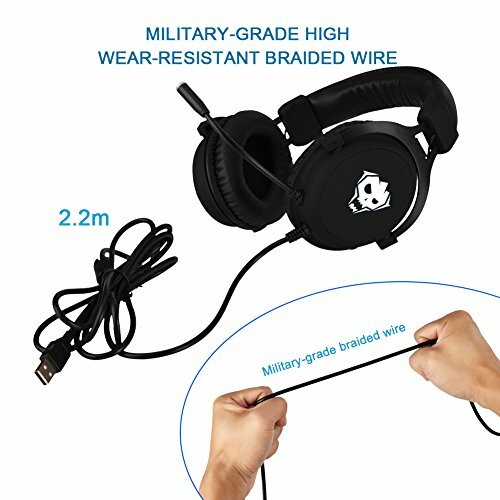 ★【HIGH QUALITY】:Built with strong robust material and high quality strength materials that are bearable to all kinds of harsh treatments.The cable can bear 60000 times wobble tests, maximum bearing force up to 20.25 lb. 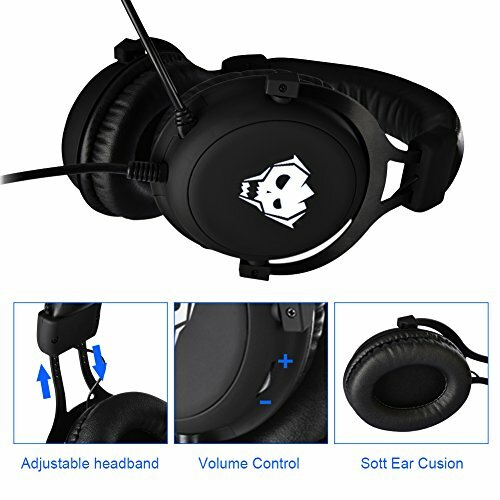 ★【HUMANIZED DESIGN】:Since the materials of the beam Tungsten steel and also 7 teeth locked construction You can adjust self-adjustment beam to fit your size to make your comfortable wearing.You will have not oppressive feeling as the ear cover is protein super soft, As the ear pad of gaming headset will wear out after a long time of using, our ear pad is designed to be taken off and put on easily. 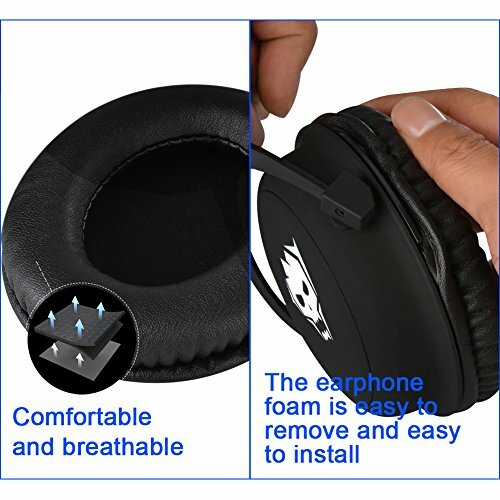 ★【PERFECT FOR GAMING】:Gameing Headset with the built-in advanced 7.1 virtual surround sound engine,catch every detail,provide precise sound positioning,provide immersive game atmosphere.100% Risk-Free Satisfaction Guarantee: We also offer you 100% risk-free satisfaction guarantee, so you can rest assured to buy. Moreover, we are known for our excellent customer service and support! So, why think twice? 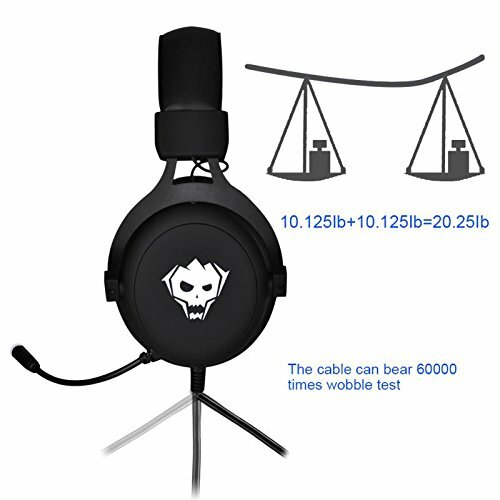 ORDER NOW to get this amazing professional 7.1 gaming headset. If you have any questions about this product by Awon, contact us by completing and submitting the form below. If you are looking for a specif part number, please include it with your message.